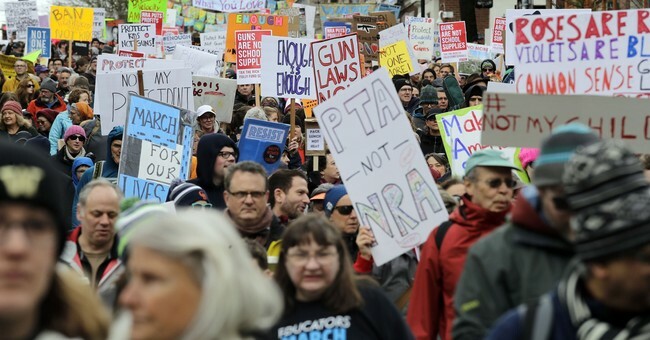 They’re Gonna Blitz: Anti-Gun Democrats Plan Hyper-Aggressive Gun Control Agenda; UPDATE: NRA Was Outspent? The gunman who killed 12 people at a Southern California bar was posting on Facebook and Instagram immediately before and during the massacre, according to a law-enforcement official. Investigators are trying to figure out why 28-year-old Ian David Long opened fire Wednesday night at the Borderline Bar & Grill in Thousand Oaks, Calif., during its weekly country-music dance party for college students. The nine men and three women killed in the shooting ranged in age from 18 to 54 and included Navy veteran Telemachus Orfanos, a 27-year-old who had survived the shooting massacre at a Las Vegas country-music festival last year, and Daniel Manrique, 33, who like Long was a Marine Corps veteran. Two years ago, he legally purchased the .45 -caliber Glock handgun he used in the attack, according to a law-enforcement official. After leaving the military in 2013, Long made an effort to enroll in the Department of Veterans Affairs system, but quit the process before receiving any health-care benefits, according to a person familiar with the matter. Curt Cashour, a spokesman for the agency, said that Long wasn’t enrolled in VA health care at any time and didn’t apply for VA health care. Long appeared to be suffering from post-traumatic stress disorder or at least exhibited symptoms of it. But experts warn his senseless act of violence is not to be blamed solely on PTSD. Calls for gun control have already emanated from liberal circles. And with a Democratic House, expect the overall anti-gun agenda to be ramped up immensely. After eight years out of power in the lower chamber, anti-gun liberals are ripe to push some of the most outrageous gun control policies in recent memory that will do little to curb violence. We all know their playbook, but one thing is clear: the anti-gun Left is getting better. They’re more aggressive. They’re blitzing. This comes on top of the slate of wins after the horrific Marjory Stoneman Douglas shooting. These groups got A-rated governors in Rick Scott and Phil Scott of Florida and Vermont respectively to sign terrible pieces of anti-gun legislation into law, specifically raising the age to buy long guns to 18 years of age. Phil Scott’s law also limited the size of magazines. This cave to the anti-gun Left was disappointing, and yes, the NRA has joined a lawsuit challenging the age to purchase long guns provision as unconstitutional. As always, we have to be vigilant. These people are pushing for gun bans and confiscation. We cannot let up. The Second Amendment fight could be one of the biggest legislative slogs flying under the radar next year.